I had the privilege to have a look at the preview of Sri Palam Silk Sarees latest line up of concept sarees for the upcoming festive season. The event was held at Amethyst cafe Chennai. With a motive to introduce something new and innovative to the silk trend Palam introduced three different categories of silk spree designs called High Rise, Double Delight and Blend’n Trend 2, representing the latest trends in the world of silks. The collection consisted of textured stripes, thread borders and decorative patterns in multiple shades, there were a lot of bright colours. Next in line were the new three concept Saree collections. First up, the Double Delights, a collection specially designed for those who love borders. 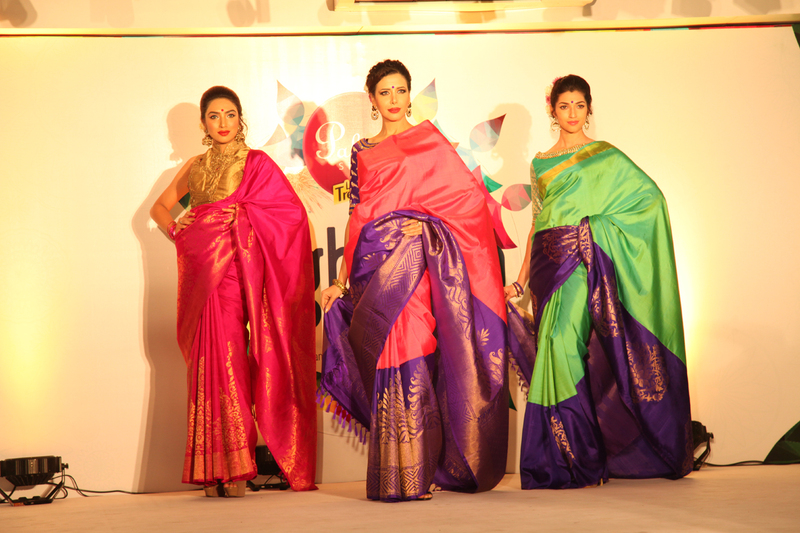 The sarees from this collection had two borders say two contrasting colours which was really eye catchy. Next was the High Rise Collection, specially designed to make petite women appear tall. The borders of the Saree are placed in such a way that it makes the wearer look taller than usual. Oh, now that's a life saver for a lot of people. Next was Blend’n Trend 2. The collection focuses on adding more oomph to the silks and makes them suitable for party wear. Oh, this was definitely my favourite amongst the lot. 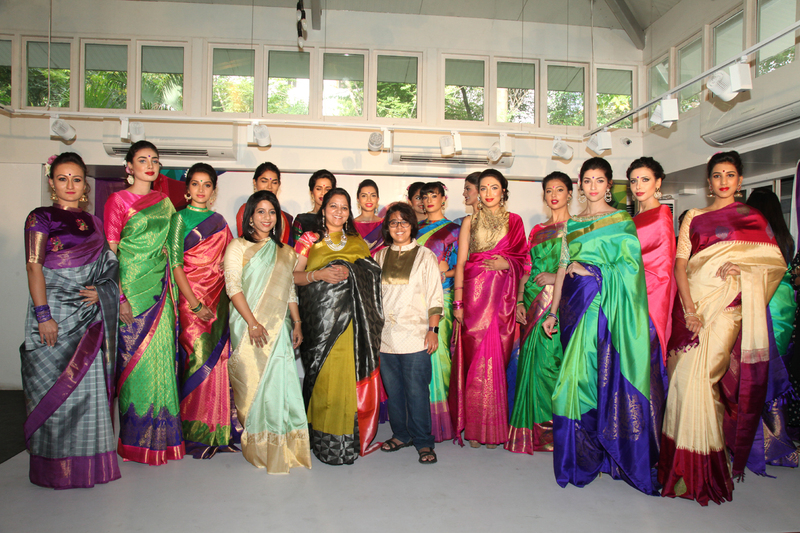 The Saree's in this concept have been weaved based on paintings by Ms. Sunita Palam, Creative Head at Palam Silks. Salam silks is a perfect destination for all those who are an ardent lover of silk sarees.